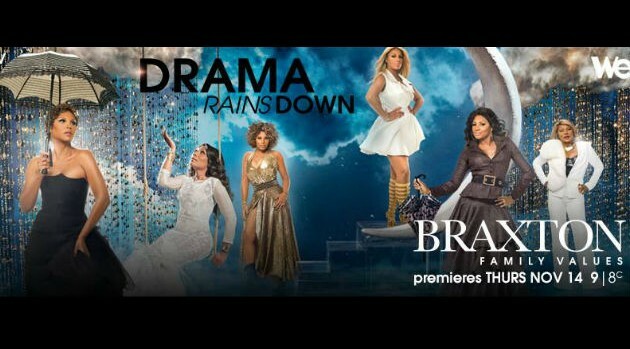 Facebook.com/BraxtonFamilyValuesThe new season of Braxton Family Values kicks off tonight, and WE tv has released two lengthy sneak peeks of the premiere episode. In the clips, viewers see Trina and Traci discussing their marital woes and dealing with unfaithful husbands, Toni reunites with Babyface to record a joint album, Tamar celebrates the birth of baby Logan and Towanda is confronted for revealing a big secret. WE tv’s Braxton Family Values premieres Thursday at 9 p.m. ET/PT.